CamPerform-Cyclone, the new high-speed camera series, achieves an overall data transfer rate of 50 Gbit/s thanks to the new CXP-12 interface and four CXP-12 channels. 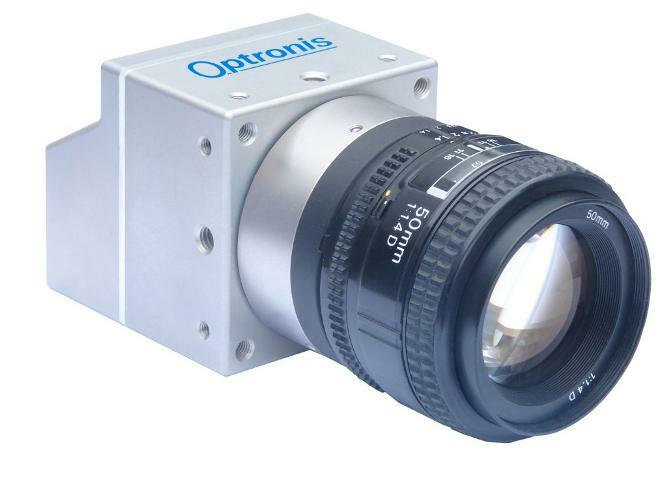 That means Optronis not only offers one of the first cameras to feature a CXP-12 interface, but also an unprecedented data rate that is sure to create excitement in the machine vision sector especially. With the latest 2.0 version of the CXP-12 CoaxPress interface, Optronis presented a camera series at VISION, the world’s leading trade fair for image processing, that utilises one of the world’s most modern data transfer technologies. The Kehl manufacturer has also configured the correspondingly new CamPerform-Cyclone camera series with 4 channels, enabling a data transfer rate of 50 GBit/s. Designed for 2D/3D AOI and 2D/3D measuring tasks, these camera models offer an appropriate response to the hunger for data of machine vision applications. In the CamPerform-Cyclone, Optronis is building on its existing innovations: in 2013 the company presented the first high-speed camera to feature a CoaXPress interface. Now comes the Cyclone, which offers the CXP-12 on 4 channels. “We can’t afford to relax. The high-speed business, including our niche, demands ever greater bandwidth. Even at VISION, it was already evident that demand for yet more data volume is rising. This makes it abundantly clear that the CamPerform-Cyclone is an important milestone, but one that also points the way in which we want to continue developing”, Dr. Patrick Summ added. The CamPerform-Cyclone is available since Q1/19.